“This is a biography of Dr. Seuss (Ted Geisel). The text is simple and direct, and should be easy for young readers to understand. It is laid out to look like the text in Dr. Seuss books, but doesn’t rhyme. It tells the story of Ted Geisel’s life, from the time he was a kid who was always drawing, to the adult author and illustrator. It covers his professional and personal life, and includes some really interesting facts. 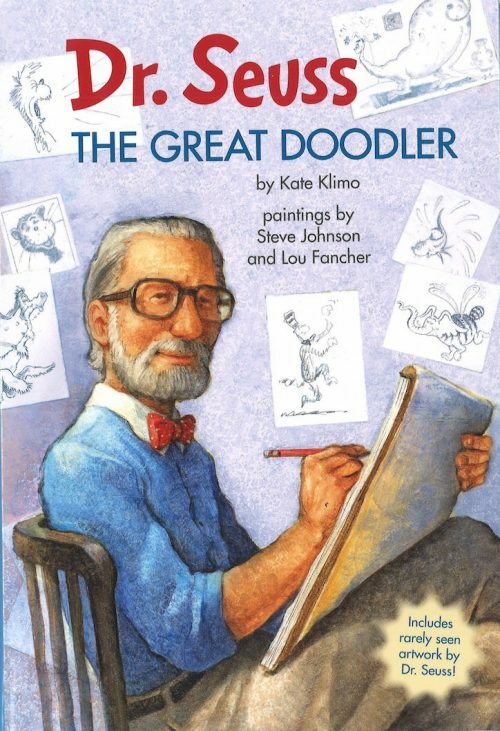 For over two decades, Kate Klimo led the Dr. Seuss publishing program at Random House, including the development of the Cat in the Hat Learning Library books and the production of the PBS Kids TV show The Cat in the Hat Knows a Lot About That!